This is the stuff that dreams are made of. Can you imagine riding a gondola, gliding over the tops of towering pines and looking out over mountain ranges, to meet your beloved at the top. These two knew what they wanted for the biggest day of their lives, and it was finally here! 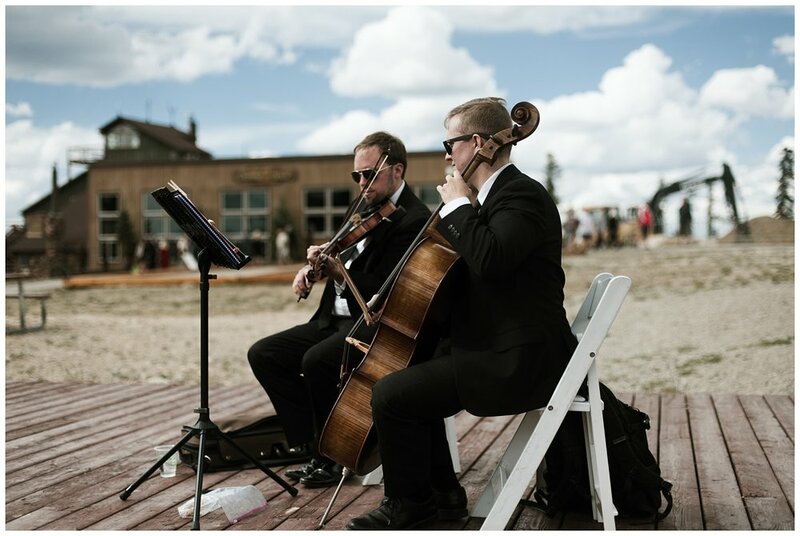 The weather was perfect for Sarah and Bryan’s first look atop Keystone Mountain. There’s something especially romantic about being out in the pine trees, looking out across the horizon as the soft breeze whispers through the air. When they stepped off the ski lift and caught each other’s eyes for the first time, huge smiles filled their faces. 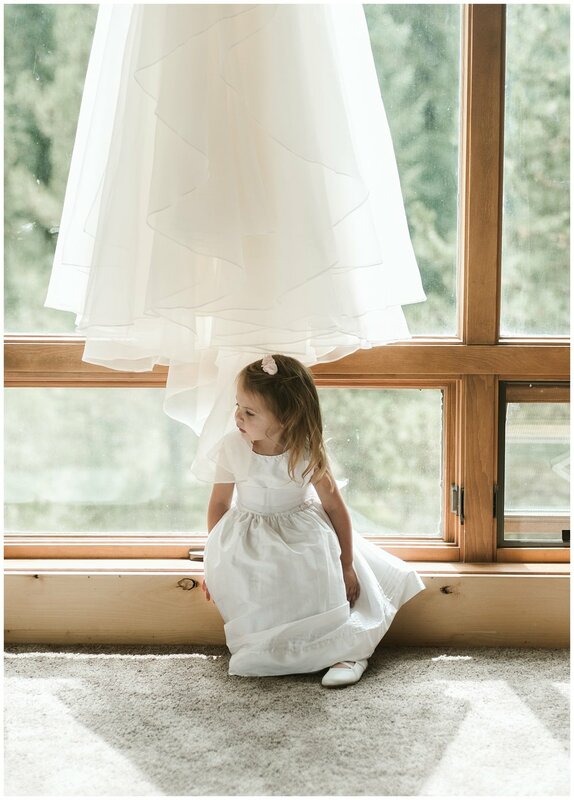 The sun seemed to poke through the clouds at just the right moment, highlighting her flowing white gown as they embraced. 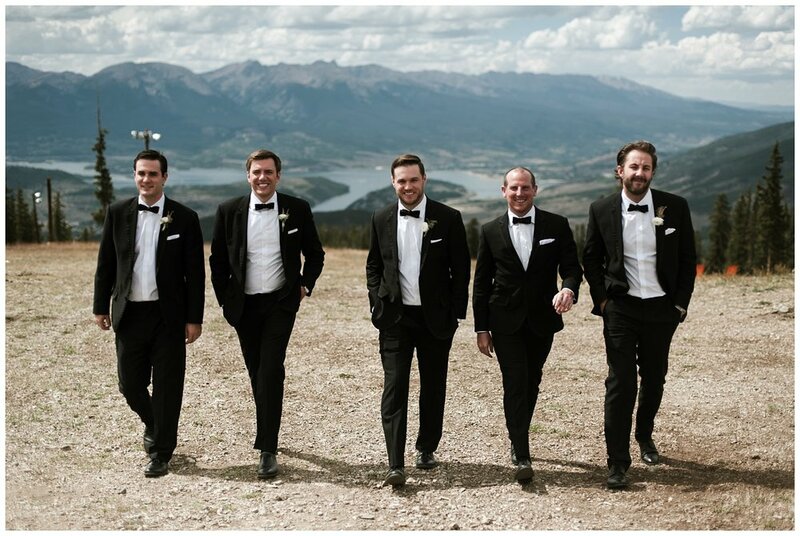 After their first look and some bridal party photos they headed to a deck outside of the Summit House overlooking the Rocky Mountains for an intimate ceremony. Only at the very end of their bride and groom photos did a storm blow in. But nothing could dampen their special day. While the gondola was shut down, a stranger bought them champagne, and they sipped and laughed and took in the moment. Their knack for finding the magic and having a good attitude in any moment is telling for how the rest of their lives will be. 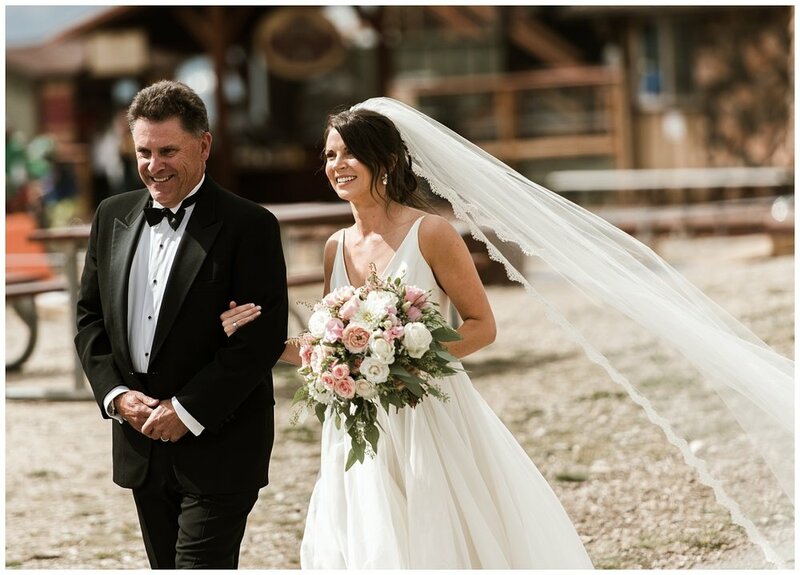 Sarah and Bryan had a vision for the cabin-vibe reception, and it was fulfilled at Keystone Ranch surrounded by their very closest friends and family. 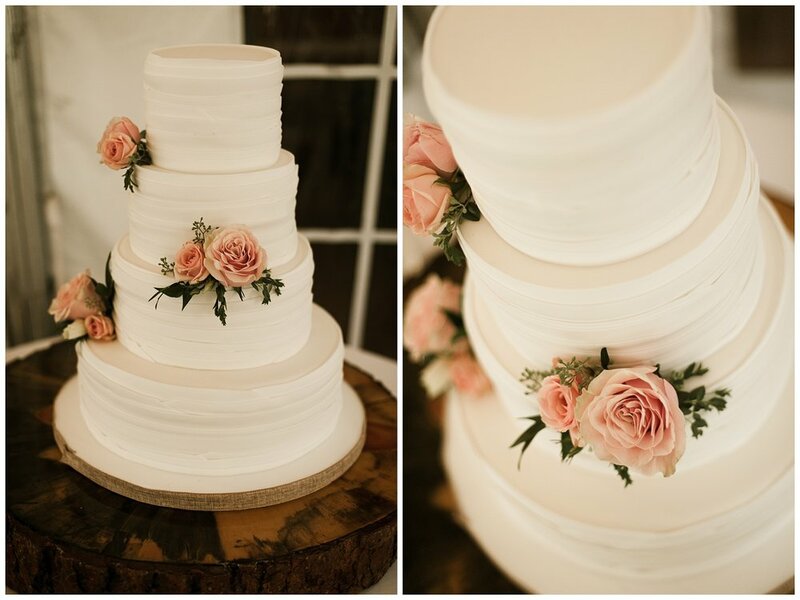 The rustic chic venue was packed with love for this special Kansas City couple. I had a blast being a part of it all. The day was everything they could have imagine and more. Congrats, Sarah and Bryan! Here’s to many more years of adventures and mountaintops!